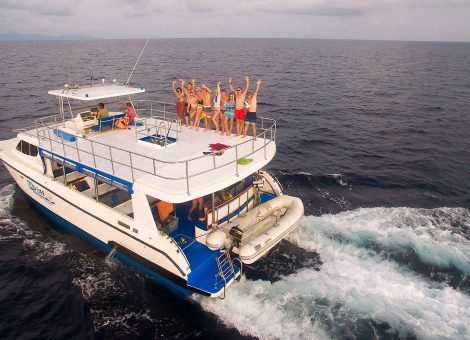 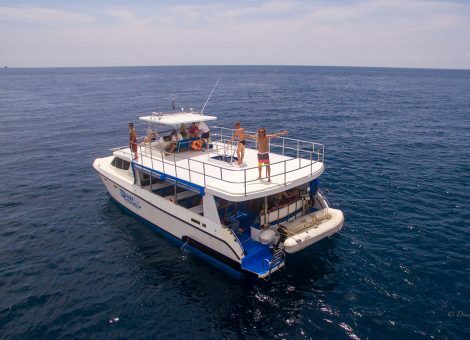 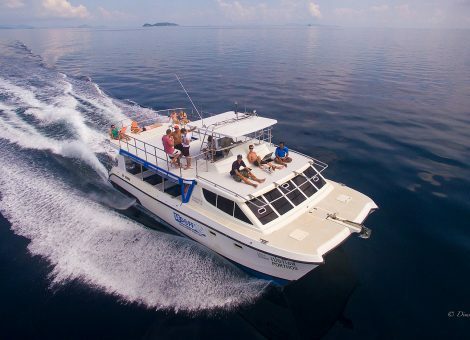 A rent of the motor catamaran in Phuket for voyages. 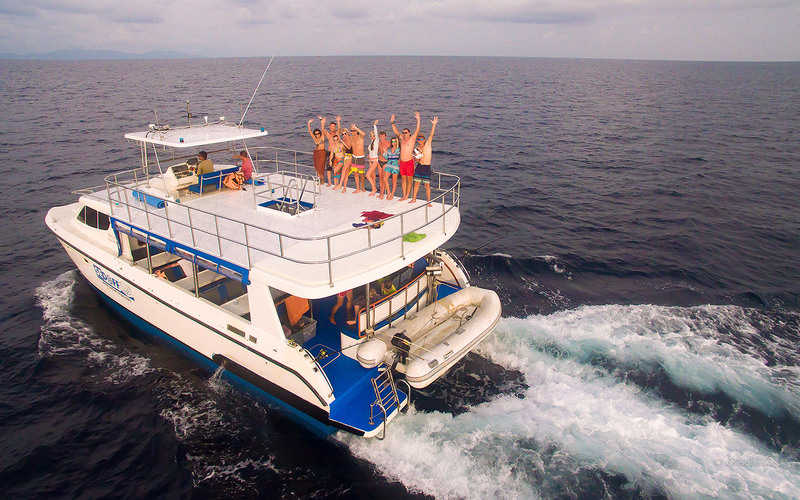 Motor catamaran gets more and more popular among tourists. 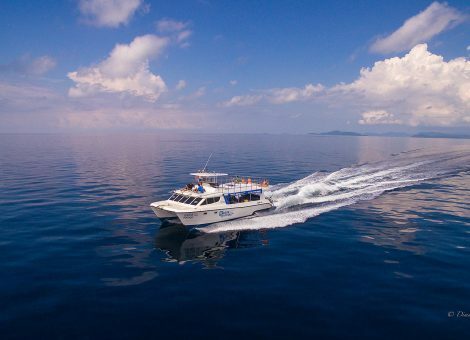 Without any doubt, this is due to the excellent characteristics: speed, power, capacity and comfort. 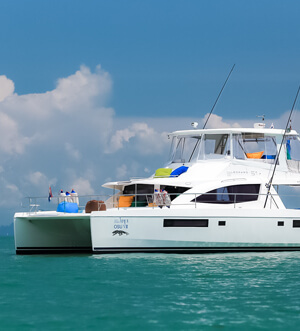 The roomy ship “ATOS” is less susceptible to motions both while sailing and when it’s moored. 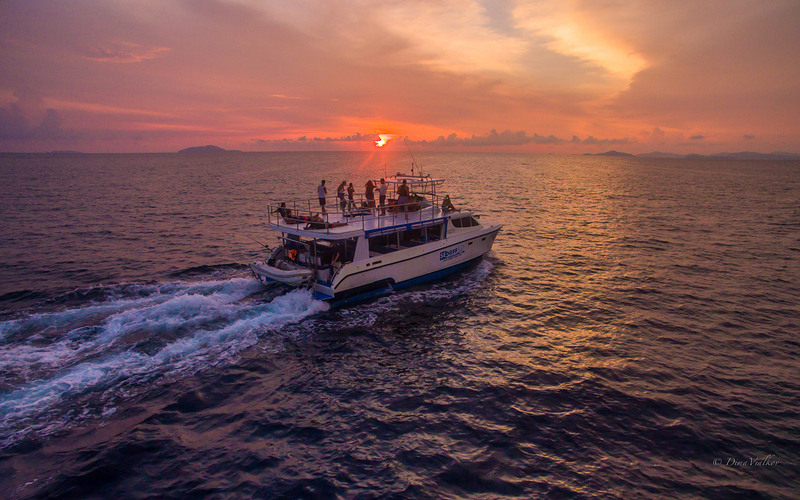 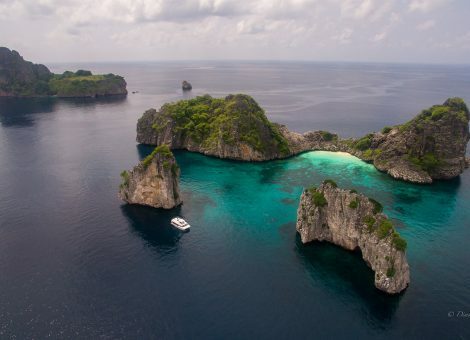 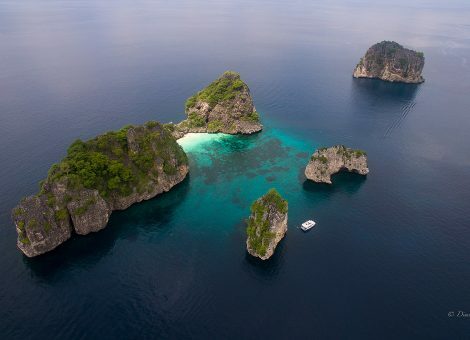 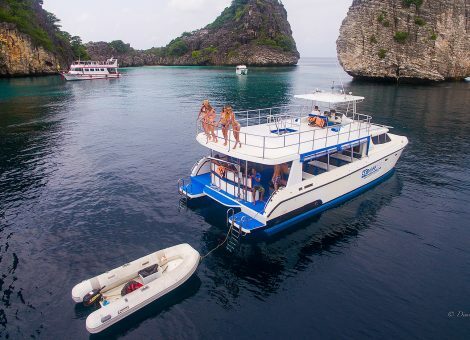 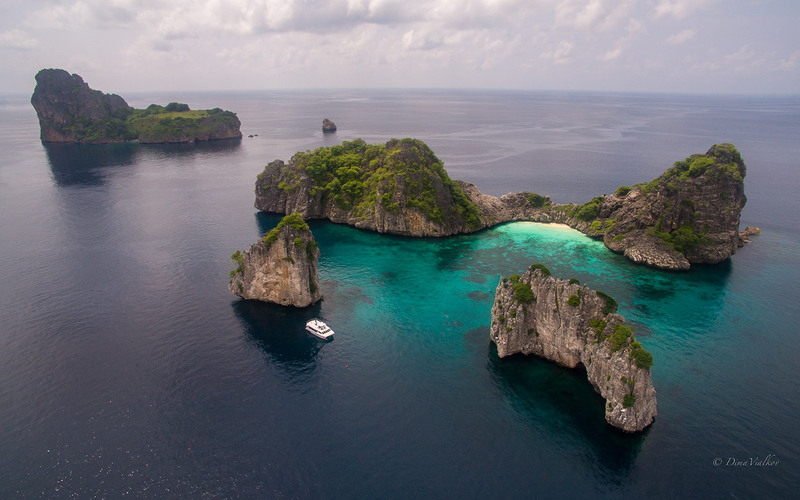 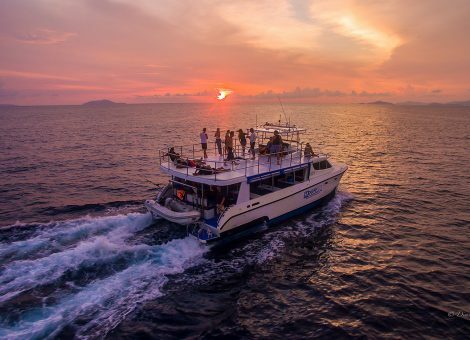 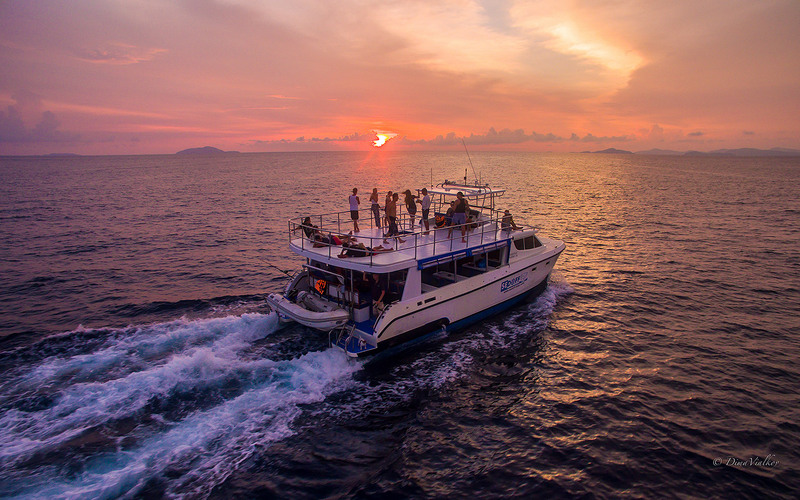 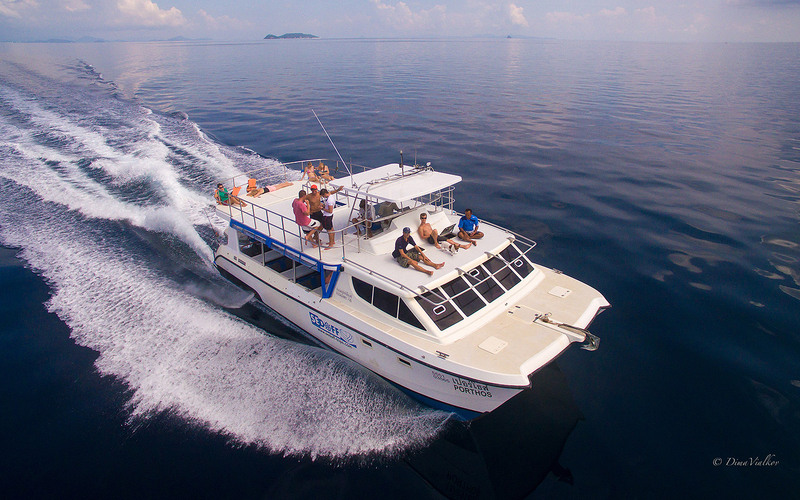 This vessel accommodates up to 40 guests with ease and it can take you to the remotest corners of the Andaman Sea in a matter of hours. 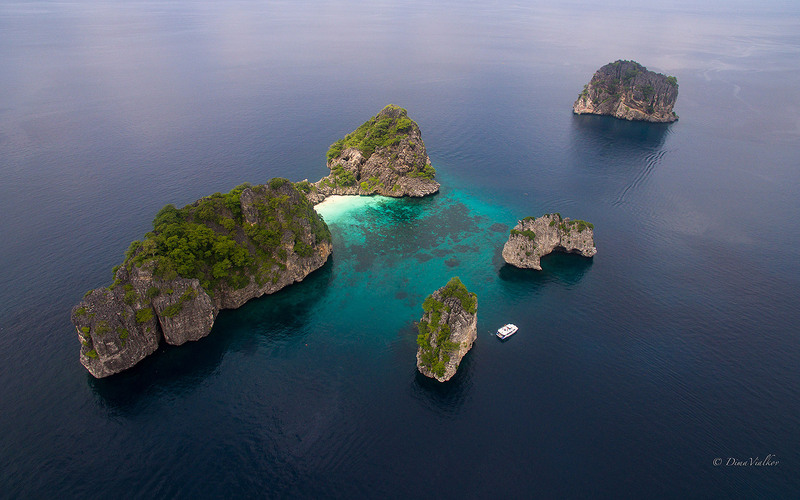 A panoramic view allows you to enjoy and photograph the neighborhood, without getting up from your seat. 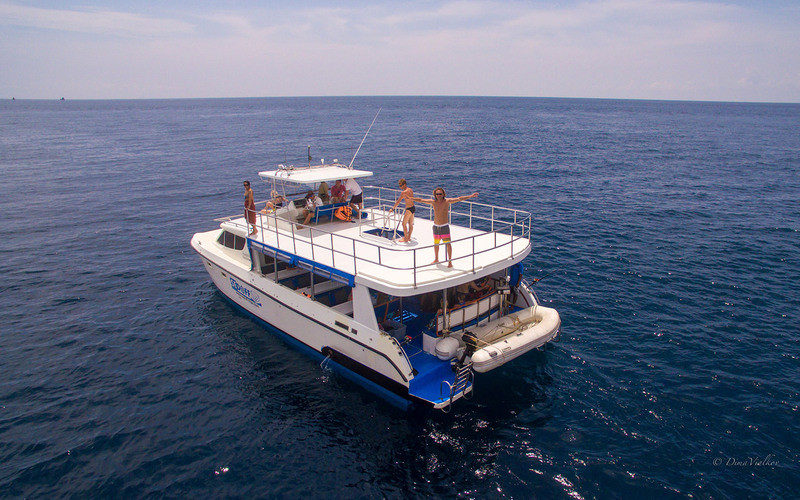 Comfortable seats and tables allow to accommodate with convenience, effortlessly eat right on the move or to hold a party. 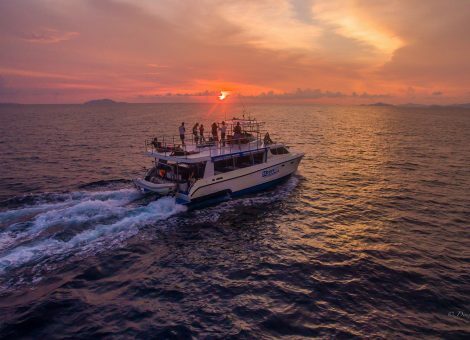 There is also a bar on the shipboard. 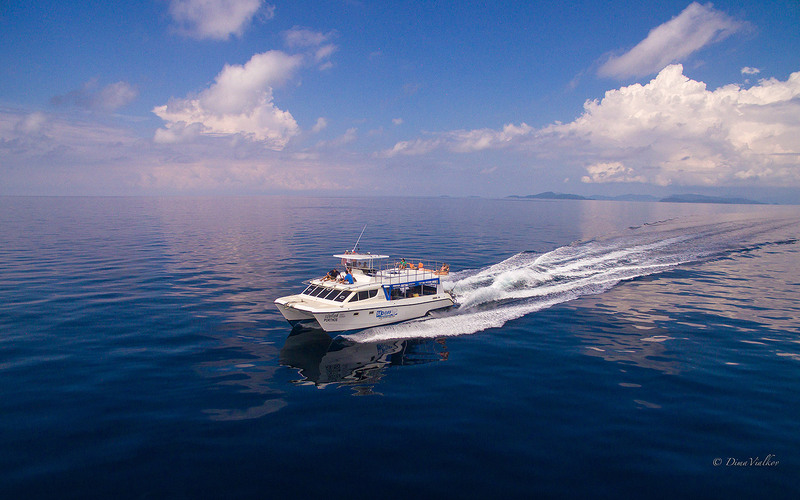 – Radio, GPS, life vests.